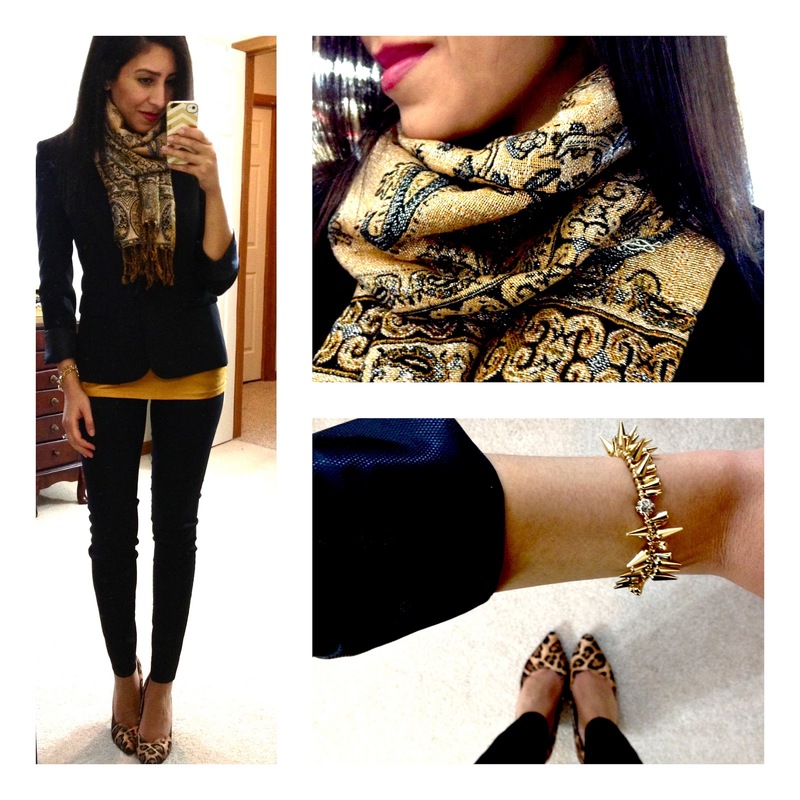 You have the best full body fashion blogger selfie shots in the biz! Love your looks. I love that I found your blog I am obsessed!! I'm plus size so I always try to copy you chubby girl style!! Fantastic looks as always!! Loving your polka dotted blouse. Of course I love everything!!! Thanks for sharing! 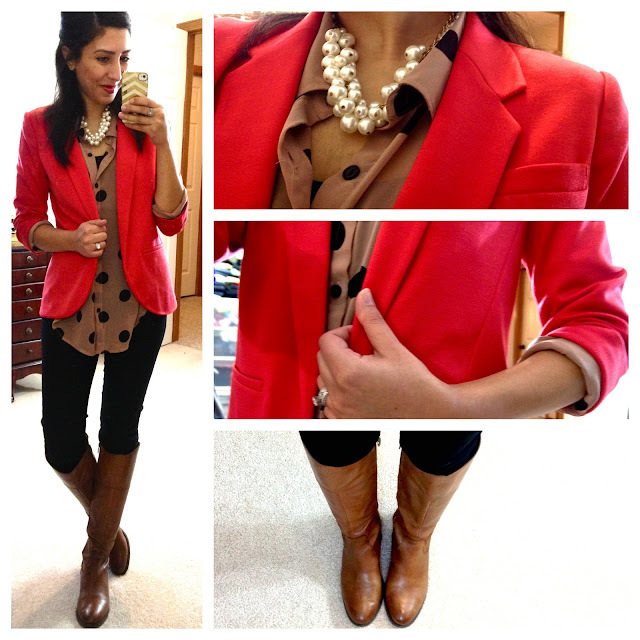 Love it all, Yasi, but the polka dot blouse and red blazer have to be the standout for me! I love all of your work looks! they are so inspirational. I tend to wear the same combos of things in my closet on repeat and your blog provides me with ideas to mix it up! Do you have an instagram account with these photos too? You have the best outfits! I dress similarly for work and you give me so much inspiration! I <3 the yellow and gray combo!! Wow I love all these outfits!! Where did you get the golden scarf from? The scarf you are wearing with the mustard yellow shirt!? I love it!